How to Get Rid of A toothache? A toothache is one Common Dental Problem which most of us have faced at some point in time. I remember, when I was small, and my Tooth was hurting, my Dad came to me and told, it was because I didn’t brush right. And, he was right, it was a Major Reason behind My Toothache. So, it can be for you too, or not? Well, Toothaches are common and there is nothing to be actually scared about these. You just have to know the Cause of A toothache for you, and then Implement the Natural Remedies for Toothache. How to Get Rid of A Toothache? What causes Toothache and How to Prevent a Toothache? The major Causes for any toothache are as follows. Abnormal Bites: An abnormal Bite can badly injure the joint between your Tooth and Gum. It can be a reason of Toothache. It is important to be careful and not take such harsh bites. Accidental Mishaps: Any accident which might have hurt your Teeth any how can contribute to a toothache. Tooth Decay: Well, everyone knows a Hollow or Decaying Tooth hurts on all days. How to Prevent A toothache? Well, as we read by now that Toothaches are mostly a result of Irregular and Poor Oral Hygiene, taking right Care of your Dental Health will rule this problem out. 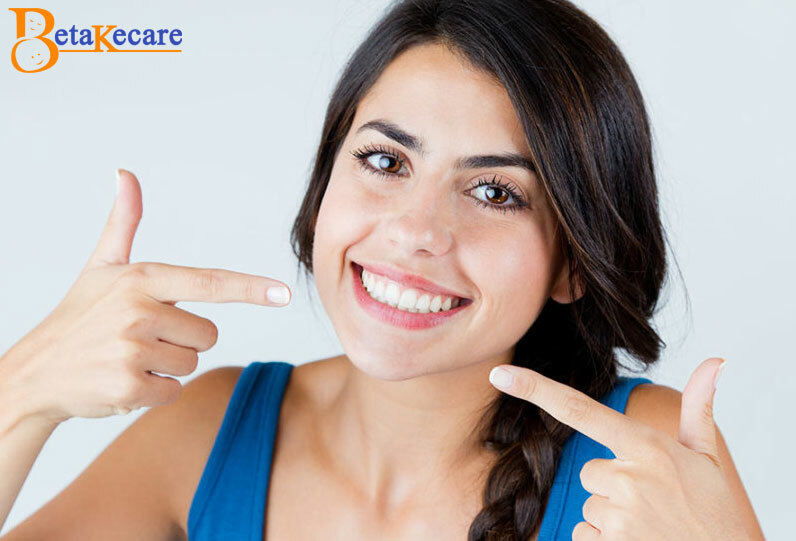 If you have never had a Toothache, then it means that you are very lucky and also that you have taken the right care of your Dental Health. Below here are the Best Natural Home Remedies for Toothache. These are an answer to the question asked here, How to Get Rid of A Toothache? Antibacterial Properties of Pepper and Salt, make them fit for Treating a Toothache. What you need to do for Making This Remedy for Toothache work is, simply make a paste of a few drops of water, with salt and pepper. Now, just apply it to the area which is aching. Wait for a few minutes and Gargle. You can use Garlic as a Remedy for many Health Problems. To Whiten Teeth, to Clear a Sore throat etc too. Now, here is the turn to use garlic to Get Rid of a Toothache. You just need to crush some pieces of garlic with salt and form a semi thick paste. Now, apply this paste directly on the Tooth that is aching. This is How to Get Rid of Toothache, keep reading for other Home Remedies. We know that Peppermint is quite cool and that is why it can numb the teeth. So, it is a kind of natural Anaesthesia. So, what you can do is boil a cup of water with a few Peppermint Leaves in it. Leave it like this for a few minutes and then Gargle with this water. Also, you can make Peppermint tea, with Peppermint Leaves and a Tea Bag. It’ll help you Get Rid of Toothache. There is no rocket science behind this. It just helps you Get Rid of Toothache Fast. And, all you need to do for it is chew on to some soft Guava Leaves, but be careful of the Abnormal Bites, as I mentioned, they can cause a Toothache too. By the way, you just chew these Leaves and let the Juice reach to your Paining tooth. Vanilla Extract works in a way somewhat similar to Peppermint Tea. As it also goes on to give a Numbing Effect, which is why you feel less pain. And then this is the easiest to implement. All you need to do is, dip a cotton piece into Vanilla Extract and place it on the Aching Tooth. Ice is another Ingredient which will Numb your Aching tooth. This is why it will not pain much. Just take an ice cube and be ready to bear the devil. Place the ice cube on the Aching Tooth of yours, and you will be good to go. Hot Water, with Salt in it, can do wonders. It can clear a Sore Throat and it can also help you Get Rid of Toothache. All you need to do is add half a small teaspoon of Salt to a Glass of Warm Water and rinse your mouth with it every day. Repeat twice a day for Best Results. Put a piece of clove in a glass of water and boil it. After 20-25 Minutes, take the Clove Pieces out and rinse your mouth with the water. You can also use Clove Oil to Get Rid of Toothache. All you got to do is, just apply the Clove Oil on the tooth, which is aching. Or maybe, you can choose to Chew a few Buds of Clove, directly and let the Juices reach to every corner of your mouth, along with the Aching Tooth as well. In any of the above methods, you will find yourself Getting more Relief with every minute. And, one more thing, you can also use Clove to Reverse Receding Gums. And, here I end with all these hopefully useful answers to the Question, How to Get Rid of A Toothache Fast. I hope you found this article useful, and if you did then share it with your Friend who has a Toothache. Stay tuned for more.